Looking for the top 5 activities and restaurants downtown Toronto? You have come to the right place. 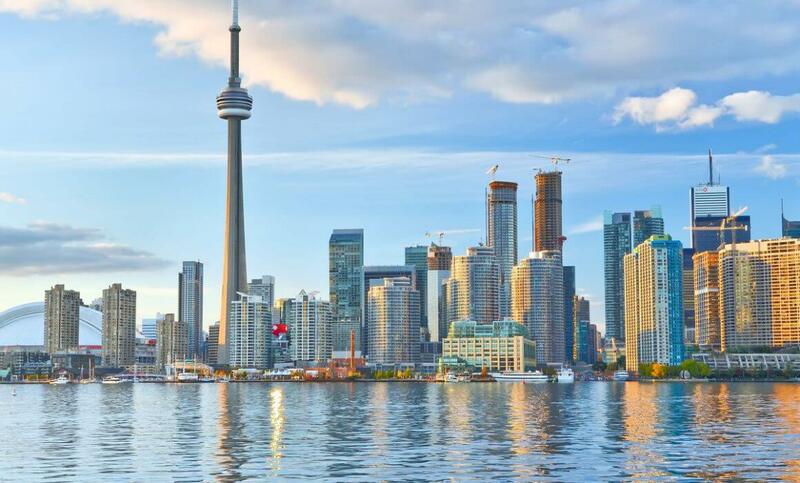 Beautifully nestled within the district of Old Toronto, Downtown Toronto reflects the real essence of Canada with its multicultural diversity, vibrant nightlife, eclectic festivals, and some of the world’s finest restaurants. The downtown area is the main commercial hub of Toronto, Ontario, and it boasts large skyscrapers that give it a unique skyline. After New York City and Chicago, Downtown Toronto is the third city to have the most skyscrapers exceeding 200 meters in North America. Whether you are visiting Toronto for business or leisure, don’t forget to squeeze some time out of your trip for the top 5 activities mentioned below. When all that sightseeing and traveling makes you hungry, don’t forget to satiate your palate at one of the restaurants downtown Toronto. A trip to downtown Toronto is not complete unless you visit CN Tower, one of the tallest free-standing architectural wonders in the world. See the Downtown Toronto core from an entirely different perspective, at over 1,815 feet above ground, the CN Tower boasts incredible views you won’t want to miss. This world-famous landmark inspires awe among international visitors and locals alike.Looking for the Ultimate experience – try the CN Tower Edgewalk for an unforgettable experience. Walk along the outside edge of the tower to not only see the fantastic views, but feel the high winds and gravity from the roof of the CN Tower. Had enough of glass doors, high towers and risking your life on top of the CN Tower? Then head to the breathtaking chain of islands located in the Lake Ontario. A 15-minutes ferry ride will take you to an archipelago of dreamy beaches.The Centreville Amusement Park is a great place to challenge your adrenalin rush with amazing water rides, tee a ball at the mini golf or just relax. You can rent a bike to explore the area or settle at one of the picnic spots.If all the sightseeing makes you hungry, head back to the core for some great eateries or you can choose to get your fill at one of the best restaurants Downtown Toronto after enjoying an activity filled day. You don’t have to be a hockey player to appreciate the exhibits at the ice hockey museum located in Toronto. It has a hall of fame and some incredible memorabilia and NHL trophies. A committee meets in June every year to select new honorees in the field.The Hockey Hall of Fame comprises of 15 exhibit sections spread across an area of 60,000 square feet so it can take an entire half of your day to see it all. You’ll sure to be hungry after all the highlights, so treating yourself to an appetizing meal at one of the nearest restaurants Downtown Toronto after heading to the museum is a must. Yorkville is a posh and upscale neighborhood in Toronto that offers something for travelers with discerning tastes. It is home to some of the most fashionable shopping districts in Canada and the best restaurants Downtown Toronto, which earned it the nickname of the Mink Mile.From a bohemian cultural center in the 1960s to the modern day high-end shopping district, Yorkville has undergone a huge transformation. Spend some time in Yorkville, exploring the art galleries, relaxing in the parks, shopping till you drop, and experiencing fine dining. Yorkville has some of the best restaurants Downtown Toronto. Toronto may be famous for various things but ask a food connoisseur and he will say the restaurants downtown Toronto are worth checking out. After a day of sightseeing and shopping, there can be nothing better than pampering your taste buds with upscale dining and live entertainment at one of the restaurants downtown Toronto.From mouth-watering Zucchini pasta and Pistachio crusted tuna to hard-to-resist Blu Chocolate Cake and Italian Doughnut, restaurants downtown Toronto has something for everyone! When you want to enjoy an Italian fine dining experience, come to Blu Ristorante & Lounge, an award-winning Italian restaurant located in Yorkville. Recognized as one of the best restaurants downtown Toronto, we were voted as one of the most romantic destination for fine dining and live entertainment in 2018. Whether you are looking to celebrate a family event, enjoy a romantic evening or a host a group event, Blu Ristorante & Lounge is the perfect way to finish off the perfect day sightseeing in Toronto. We hope this list of top 5 activities and restaurants downtown Toronto helps you make the most of your stay in this vibrant and eclectic city. We welcome you to Blu Ristorante & Lounge to treat your palates to an unforgettable Italian fine dining experience with live music (pianists and guitarists) on weekends.